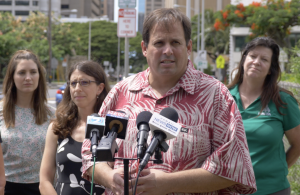 Hawai‘i teachers will testify today on HB 2117, which would help reduce the amount of standardized testing that public school students take each year. The bill has passed the House and will be heard in the Senate Education Committee in Room 229 at the state Capitol on Wednesday, March 21, at 3:10 p.m.
Teachers will testify about how too much testing takes away from learning. During Wednesday’s hearing, HSTA will share information from its survey sent out to teachers about standardized testing. Students in Hawai‘i on average took 10 standardized tests in the 2016-17 school year. The most-tested grade level across the state is fourth grade, with teachers reporting an average 14 standardized tests administered last school year. Many teachers reported administering more than 30 standardized tests in their classrooms last school year, with one seventh grade teacher reporting 45 tests given during that same time. Sixty-four percent of teachers reported that they used instructional time to prepare students for standardized tests. Fifty-six percent of teachers in the state said that art, music, social studies, science and physical education coursework have been reduced for test preparation. About the survey: HSTA conducted a survey of its members between Feb. 6 and 14, 2018, with responses from 1,764 teachers. Most of those who answered the survey (1,434) were classroom teachers, while 326 were non-classroom teachers, such as testing coordinators who are very familiar with the frequency of standardized tests. HSTA defined standardized tests as non-teacher developed tests (including diagnostic tests, screeners, interim testing and any statewide standardized tests). 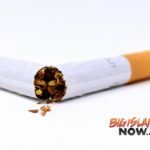 They do not include tests developed by Hawai‘i classroom teachers or testing of students with special needs and English language learners. 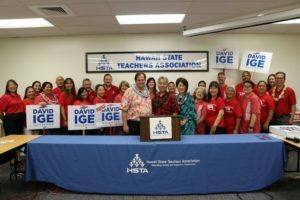 About the Hawai‘i State Teachers Association The Hawai‘i State Teachers Association is the exclusive representative of more than 13,700 public school teachers statewide. As the state affiliate of the 3.2-million-member National Education Association, HSTA represents and supports teachers in collective bargaining, as well as with legislative and professional development issues.